Carefully leveled text and vivid images bring these magnificent tusked creatures of the sea to life. Critical thinking questions and a photo glossary supply readers with the basic building blocks for reading nonfiction. About the Author: Mari Schuh is the author of more than 300 nonfiction books for beginning readers, covering topics from tomatoes to tornadoes. She lives with her husband in her hometown of Fairmont, Minnesota. My Review: Its Awesome Anarece! This was another great book about sealife! This time its about the amazing Narwhal! I have actually seen these creatures in real life which was awesome! 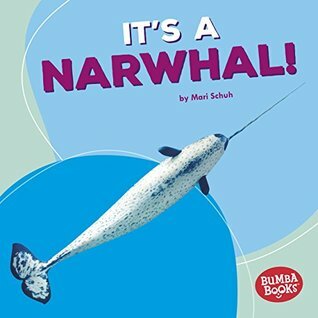 This book gives you some great information about the Narwhal and now of course I want to learn more about it.